When playing Phantasy Star IV normally, you can explore many areas of the three planets in the Algo Star System. The frozen, icy planet, Dezoris, is small in comparison to the desert planet of Motavia. Still, there is much to do here - several towns and dungeon can be found. However, there is one section of of the Dezoris overworld that cannot be explored. Using an edited saved game, I created a map of this previously unexplored area. As you can see below, it is just southeast of the Esper Mansion. 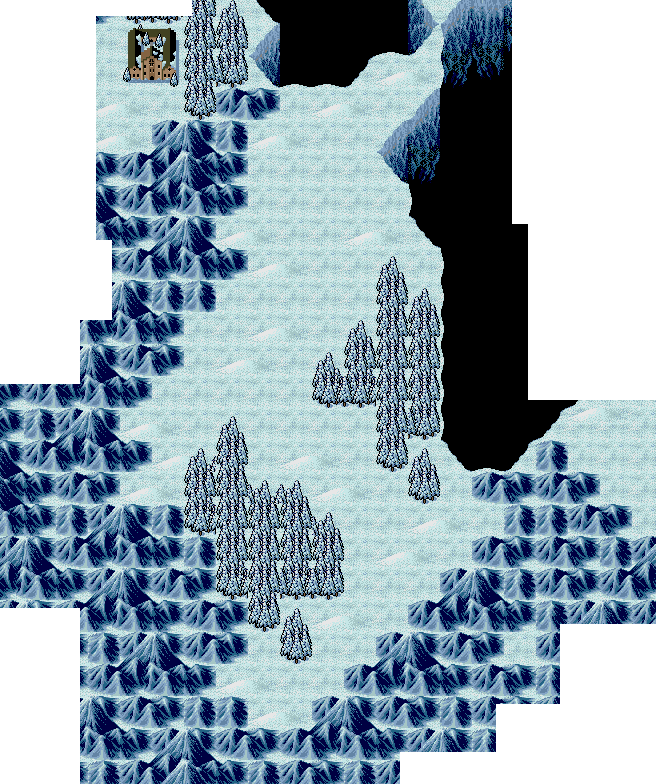 There appears to be nothing of importance here in this game, but in Phantasy Star II, this was home to a dungeon holding the powerful Nei equipment. Who knows what extra secrets were intended for this area? Perhaps another dungeon or town, with additional equipment and storylines. It could have provided yet another link to the games that had come before.